i've been on a roll lately in the kitchen, you guys. like, i've been trying my hardest to cook more often, and of course pinterest has come to my rescue. 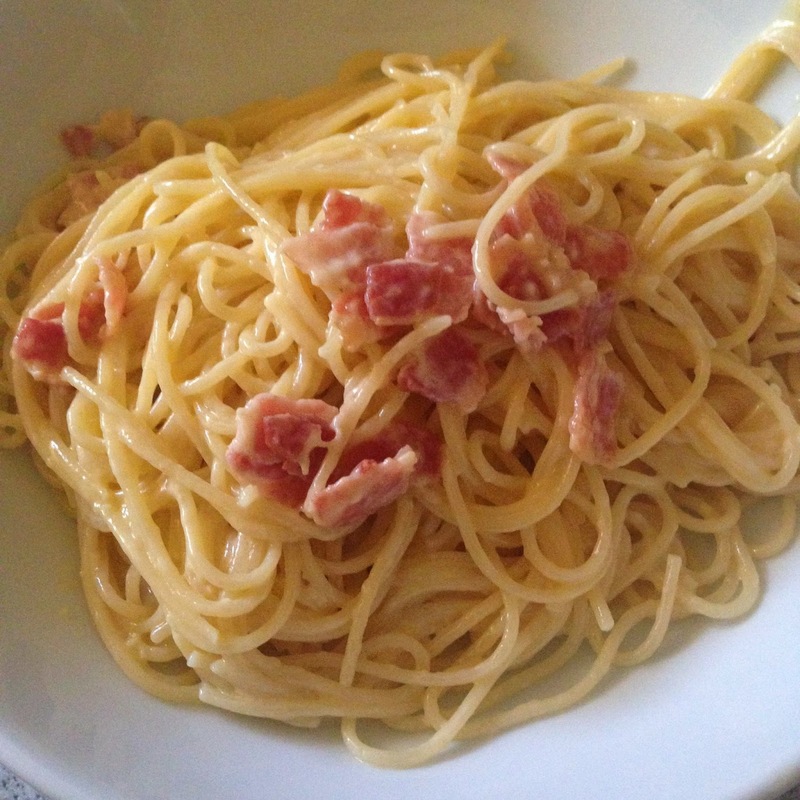 when we were in rome last summer, the bean fell in love with pasta carbonara. simple, right? pasta, eggs, cheese, bacon, a little salt and pepper. i've read that those are the only ingredients in a true carbonara. but the last couple of times i tried to recreate the cheesy goodness at home, it just didn't come out right. so when i spied this recipe that added a little warmed cream into the mix, i figured it was worth a shot. i mean, it's not like i'm being graded on this thing, right? all that bacony, creamy goodness in one pot? WUT. and it was totally bean-approved as she devoured two servings of the stuff. even after i had my fill, there was enough for the hub AND another meal for the bean. total win. oh yes. it was time for some homemade ice cream. and the bean was my more-than-willing sous chef for this one. 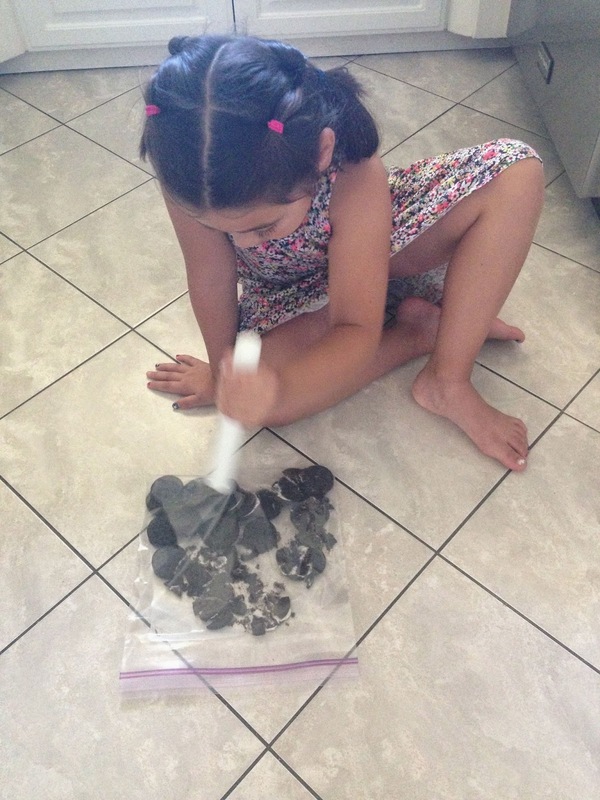 i let her pick what flavor we'd make, i found a super easy no-egg, no-cook recipe, and put her to work on the first step: crushing oreos for what would become cookies & cream ice cream. next, stirring the cream, milk, vanilla and sugar together. 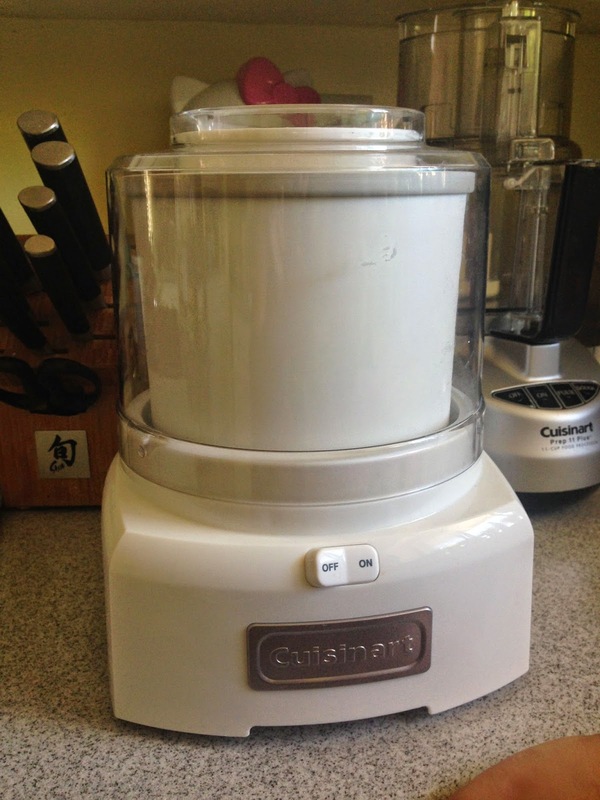 we poured it into the frozen bowl, attached it to the machine, and flipped the switch. we left it alone for about 20 minutes before adding the cookie pieces, stirring a little longer, and then pouring it into another container to firm up in the freezer. after stuffing ourselves with delicious carbonara, we scooped some of that fresh ice cream for dessert. 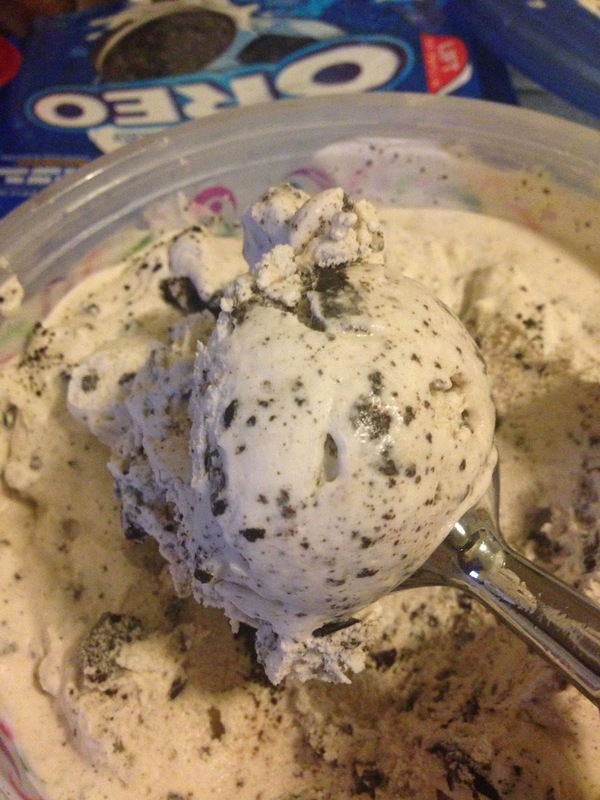 if you have an ice cream maker and some oreos...try this recipe. it's so easy a six-year-old can do it, but tastes oh so delicious. you can thank us later. 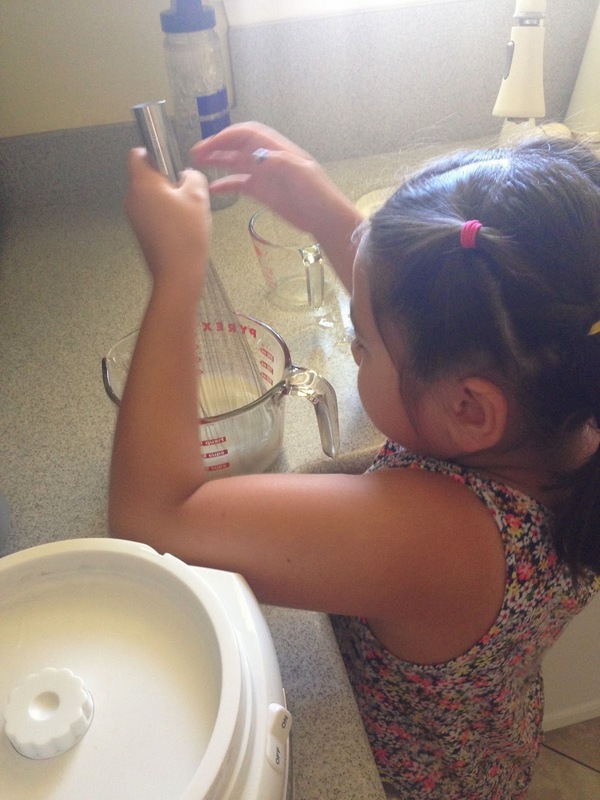 You have the littlest, cutest cook in the world!